Some roles are inextricable from the actors who play them. Leonardo DiCaprio became a household name in 1997 with his portrayal of Jack Dawson in James Cameron’s tragic love story Titanic and instantly became linked to the iconic film. However, other A-list Hollywood actors tried out for the part. Paul Rudd recently appeared on The Late Late Show with James Corden and revealed that when he auditioned for the part, he wanted the role because of his father’s connection to the doomed ship. 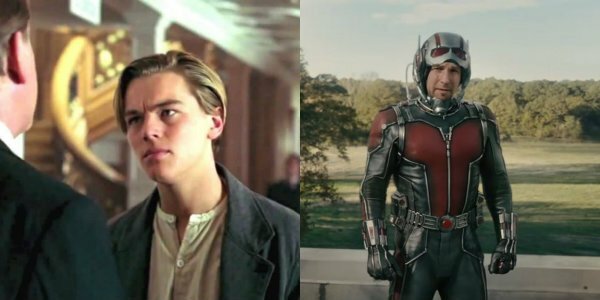 During a recent appearance on The Late Late Show, actor Paul Rudd revealed to host James Corden that years ago he auditioned for the part of Jack Dawson in James Cameron’s Titanic. Aside from the role representing a great career opportunity, Rudd had a personal connection to the part. He explained that his father was a member of the Titanic Historical Society. The elder Rudd had a deep passion for the legendary ship, and even travelled the world as a member of the society, often acting as a tour guide in iconic locations associated with the Titanic all around the globe. Paul Rudd would go on to explain that he humorously whipped out all of his geeky Titanic knowledge during the audition, even going into detail about the type of steel they used to construct the supposedly unsinkable ship. However, as we all know, the part of Jack Dawson ultimately went to recent Oscar winner Leonardo DiCaprio. Laughing about the ordeal, fellow Late Late Show guest Diane Lane exclaimed that she could never imagine anyone other than DiCaprio in the role, to which Paul Rudd humorously remarked that the film’s casting director felt the exact same way. Of all the reasons to want a part in a movie, doing so because of its personal connection to one’s father seems like an incredibly heartwarming motivation. In the end, we highly doubt that Paul Rudd has any regrets about not getting the role. He has gone on to have an amazing career in comedy, and recently began his highly-acclaimed foray into the world of superheroes with Ant-Man. Audiences will get their next glimpse of Rudd's diminutive Scott Lang when Captain America: Civil War hits theaters on May 6.